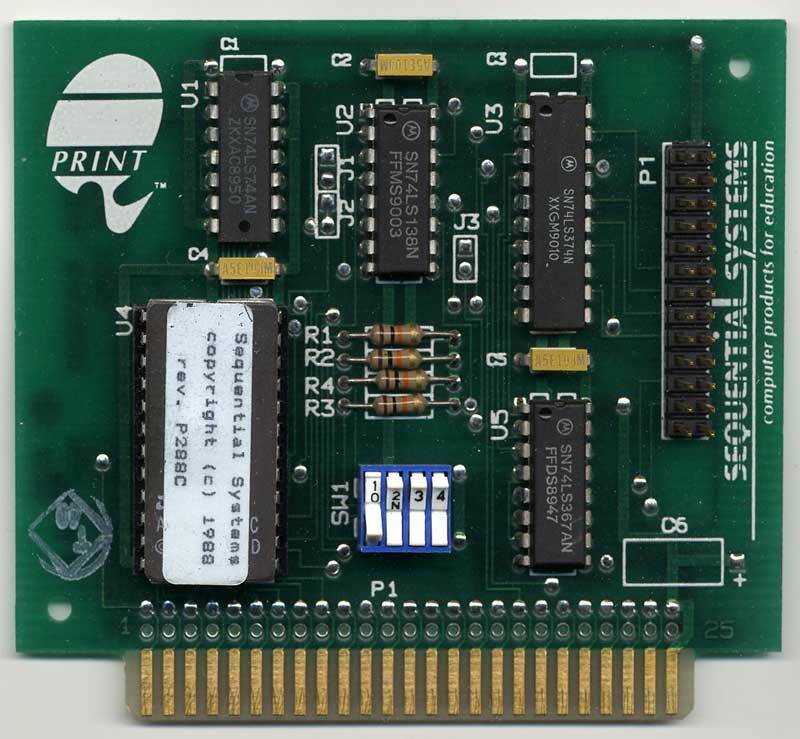 Q-Print parallel printer card by Sequential Systems. This card lets you use popular non-Apple printers with your Apple ][, ][+, //e and IIGS computer. Available with and without cable. 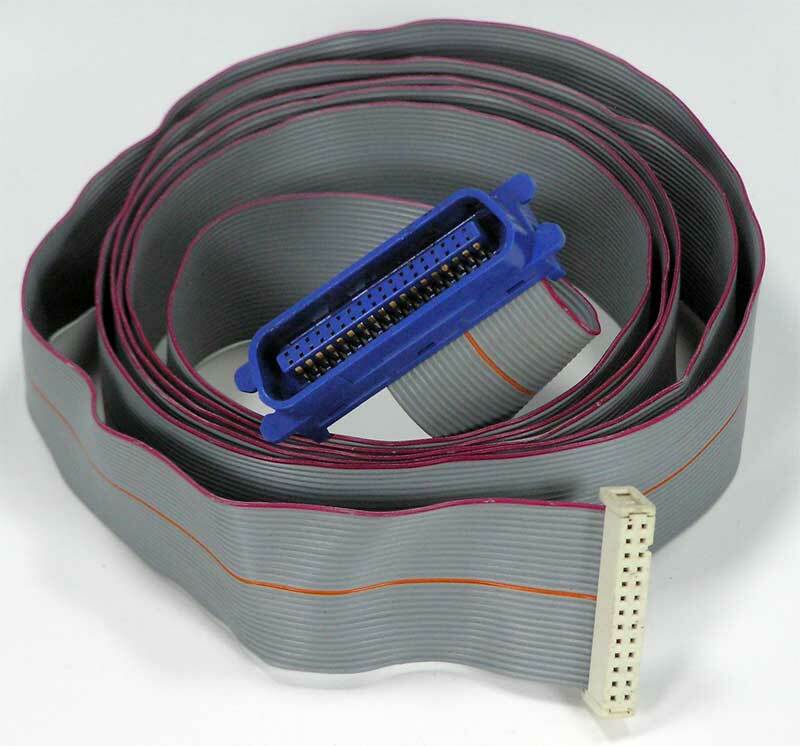 Cable goes from the card, through the back of the Apple II, and attaches to the Centronics port on the printer.